Gather your friends and family and experience what your great-great-grandfather was brewing! 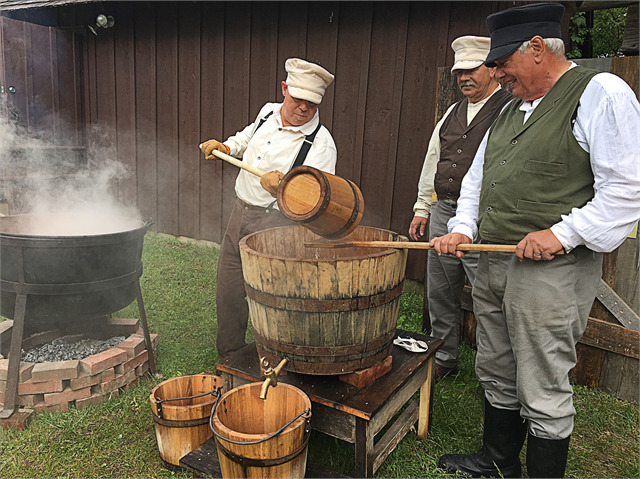 See brewers use equipment and techniques from the late 1800s and heirloom hops and barley grown at Old World Wisconsin to bring the taste of 19th-century beer to you. Old World Wisconsin documents the settlement of 19th- and early 20th-century Wisconsin. It comprises an 1870s crossroads village and 10 ethnic farmsteads located on 576 acres of wooded hills in the Southern Unit of Kettle Moraine State Forest. Reasonable accommodations will be made for individuals requiring wheelchairs for mobility. Trams are equipped to transport visitors using wheelchairs during regular museum operating hours. Call ahead to make arrangements at 262-594-6301.